The Weatherstation Inn may not be right on the ocean, but it's within walking distance of a couple solid beaches and attractions, and features attractive boutique-style rooms for couples. It's so easy (or is it?) to hop on a flight these days; paid time-off is limited, and travelers want to get the most out of their vacations -- which, to many, means more time spent in the destination. But we've all heard it before: It's the journey that counts, not the destination. While we find that we ourselves often prioritize the destination, particularly when we have just a weekend to spare, there is something to be said for miles and miles of open road -- especially when it's surrounded by stunning natural beauty. From Red Rocks views to crystal-clear Pacific Ocean vistas, these are the nine drives in the U.S. that you have to take in your lifetime. Highway 1 is perhaps the most famous road in the country -- and the most beautiful. No wonder it's featured in scores and scores of songs; U.S. citizens and non-citizens alike plan out road trips traveling down Highway 1 in order to take in the gorgeous scenery...and hopefully find themselves along the way. 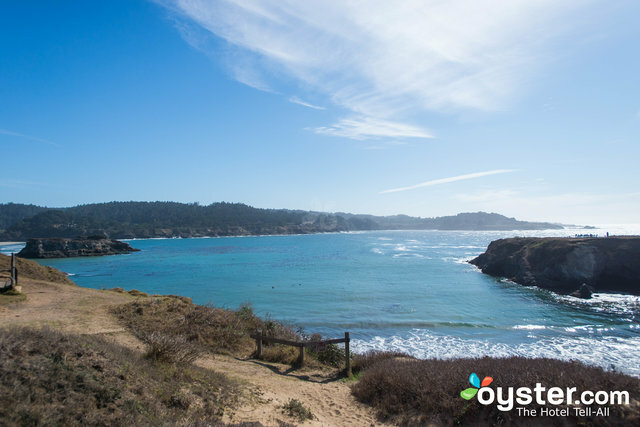 Spanning over 655 miles, this coastal drive starts up in the northern parts of Mendocino County and snakes down to Orange County, running concurrently with U.S. 101 along the way -- including in a stretch across San Francisco's Golden Gate Bridge. At times quite steep and/or twisting, Highway 1 can be difficult to navigate (particularly in foggy weather), but if affords some of the best views of the Pacific Ocean in the world. Hotel Pick: In Fort Bragg, The Inn at Newport Ranch sits right off Highway 1 and has stunning views of the ocean throughout the property. 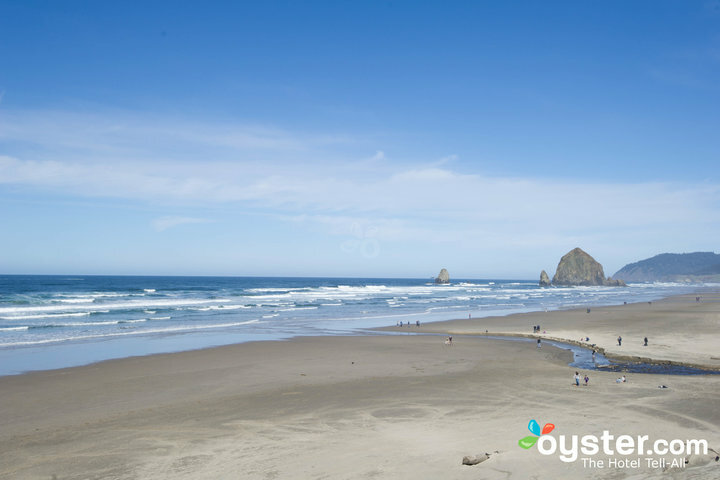 North of Highway 1 is where adventurous travelers can pick up Highway 101, which runs all along the coast of Oregon. Like Highway 1, it can be hazardous at times -- it's very mountainous,and landslides can cause frequent closures. Most drivers, however, find that the ocean views are well worth the slow trek, and Haystack Rock -- a sea stack rising out of the water at Cannon Beach -- makes for great photo ops. Hotel Pick: Tolovana Inn is a mid-range beach property right off the highway, with views of Haystack Rock. 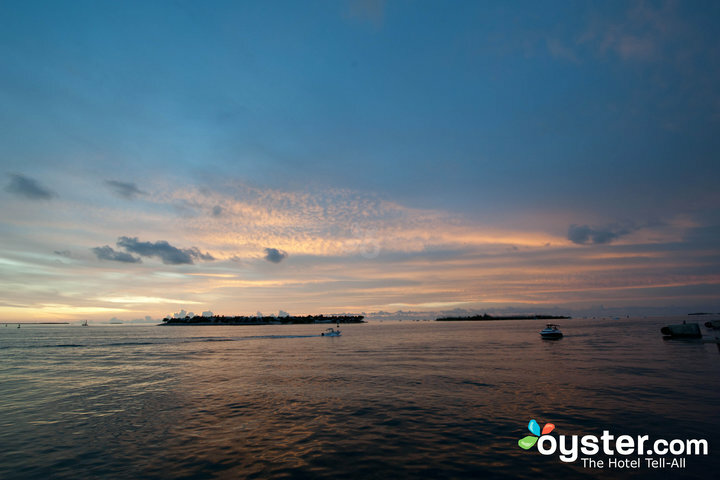 Beginning operation in 1912, southern Florida's Overseas Railroad was destroyed by a hurricane in 1935; three years later, the Overseas Highway was built to take its place. This beautiful road, which is nearly 130 miles long, stretches mostly overwater from Key Largo to Key West via a system of 42 bridges -- including the famous Seven Mile Bridge, which was the world's longest bridge when it opened over 30 years ago. If they plan accordingly, drivers on the highway get a front seat to the Keys' gorgeous sunrises and sunsets over the water. Hotel Pick: The Weatherstation Inn may not be right on the ocean, but it's within walking distance of a couple solid beaches and attractions, and features attractive boutique-style rooms for couples. Situated in Canyonlands National Park, White Rim Road is no easy drive -- but it is easy on the eyes. Thrill seekers follow the 100-mile loop either in four-wheelers or on mountain bikes, taking in gorgeous mesa vistas along the way. Views include rivers, red rocks, and sights such as Labyrinth Canyon, and various camping grounds are set up along the route; most spend two to four days on the road. Hotel Pick: Less than two hours from Canyonlands National Park, Red Cliffs Lodge delivers a unique Wild West experience in a picturesque red-rock setting on the banks of the Colorado River. Though many sections of U.S. Route 550, which spans over 300 miles, are quite beautiful, the stretch between Silverton, CO and Ouray, CO is particularly stunning. 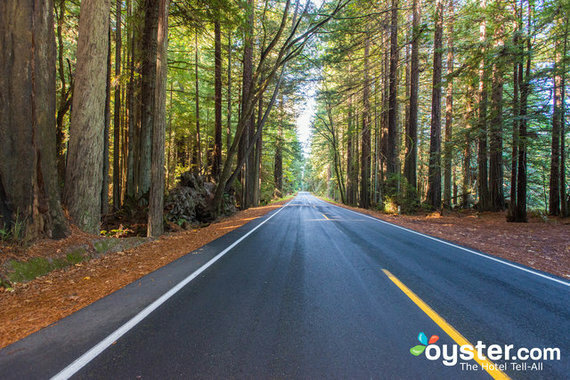 Known as "Million Dollar Highway," these 25 miles send travelers through natural scenery such as mountains, forests, and valleys. It can be quite dangerous, however; the route is characterized by hairpin turns, steep ascents, and narrow lanes -- and much of it lacks guardrails. 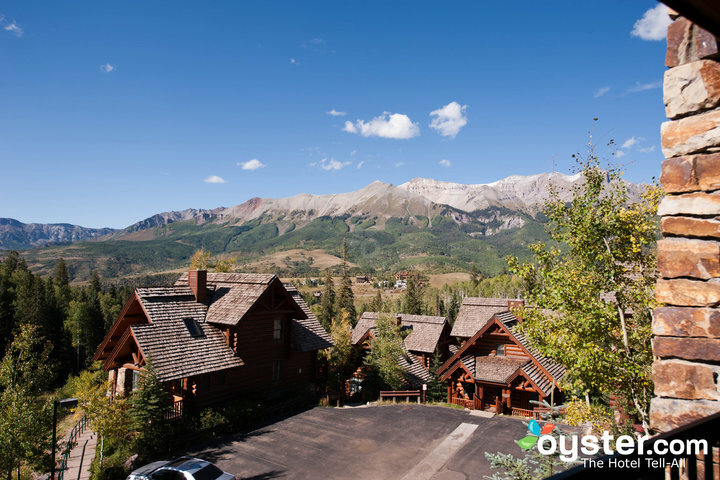 Hotel Pick: Telluride's Mountain Lodge is about an hour-and-a-half from Million Dollar Highway, and many skiing the mountain will take the trip for the scenic drive. 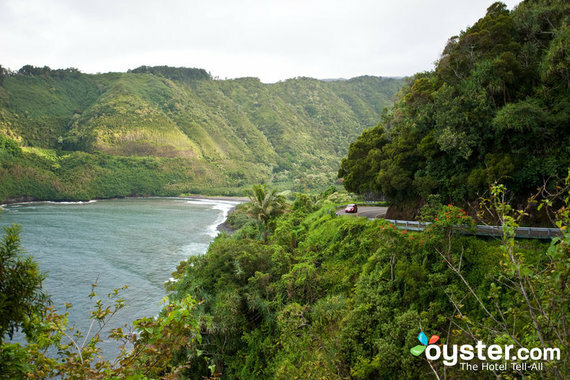 Hawaii's most scenic drive -- arguably one of the country's most scenic -- Hana Highway stretches 37 miles along Maui's undeveloped eastern coast, studded with waterfalls, hidden beaches, and natural pools. Drivers can even pull over to hike pretty trails, but -- as with most of the roads on this list -- Hana Highway can be difficult to navigate. The one-way coastal highway includes some 600 turns and 57 one-lane bridges. Hotel Pick: There's not much in the area, but Hana Kai Maui is a solid mid-range option off the highway which sits on its own black-sand-and-pebble beach. Running parallel to California's Highway 101, Avenue of the Giants is a scenic detour that many consider a must when exploring Humboldt Redwoods State Park. Though there are some twists and turns, this route makes for a much easier drive than Highway 1 slightly south, and all along the 32 miles, drivers will see other travelers who have pulled over to take photos of the, well, gigantic redwoods. Highlights include three drive-thru trees (that you can literally drive through), the Immortal Tree (which is over 950 years old), and Founder's Grove (an easy, scenic half-mile hike). Hotel Pick: In Garberville (just south of the Avenue's southern entrance), Benbow Historic Inn opened in 1926 and has welcomed everyone from the Prince of Jordan to Cher -- although nowadays it largely attracts older couples seeking peace and quiet for a mid-range price. Like many drives on our list, scenic Blue Ridge Parkway is an All-American Road, traveling 469 miles through dozens of counties in both Virginia and North Carolina. It's noted not only for its mountainous beauty, but also for the fact that it's the longest linear park in the U.S. 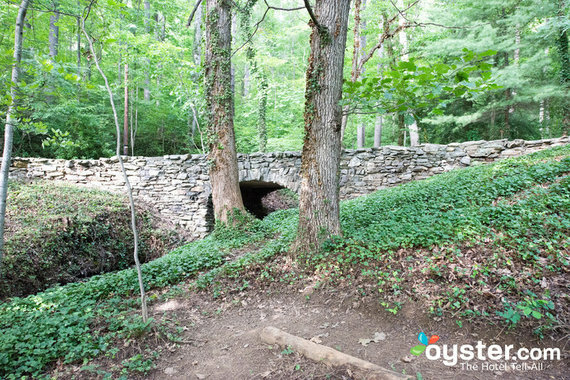 Stunning vistas of the Blue Ridge mountains attract nearly 13 million travelers each year, and the parkway conveniently spans from the Great Smoky Mountains National Park in the south to Virginia's Shenandoah National Park. Hotel Pick: With spectacular sunset views of the mountains, the upscale Omni Grove Park Inn in Asheville (which the parkway runs through) has many highlights, including a National Geographic-approved outdoor adventure center. 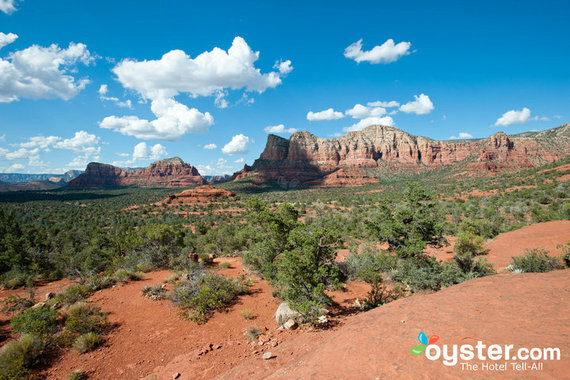 Sedona is most famous for its stunning red rocks, which are particularly beautiful in the glow of sunrise and sunset when you're driving down the seven-and-a-half miles of Red Rock Scenic Byway. Views along the route are highlighted by red rock mesas and the nearby Mingus Mountains. The road is generally flat and easy to navigate; visitors often pull over for stunning photo ops. Hotel Pick: Hilton Sedona Resort & Spa also affords spectacular views of the area, including from the golf course, tennis courts, pool, and various rooms.